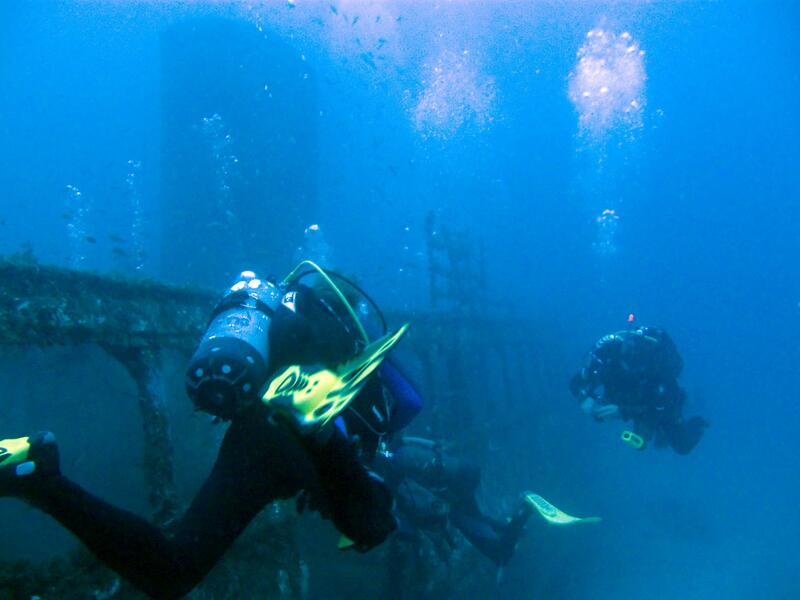 MV Imperial Eagle is a wreck dive site in Qawra, located in northern Malta. She was scuttled in July 1999 half a kilometre off Qawra Point in a marine conservation area as an attraction for scuba divers. Imperial Eagle was a former ferry boat between Malta and Gozo. She was 45 m long with 9.2 m beam. The wreck sits perfectly upright on sandy seabed at depth of 42m. The deck is 32 m deep and the wreck is open for penetration. Kristu tal-Bahhara or Kristu l-Bahhar (Christ of the Sailors) is an underwater statue of Jesus Christ. 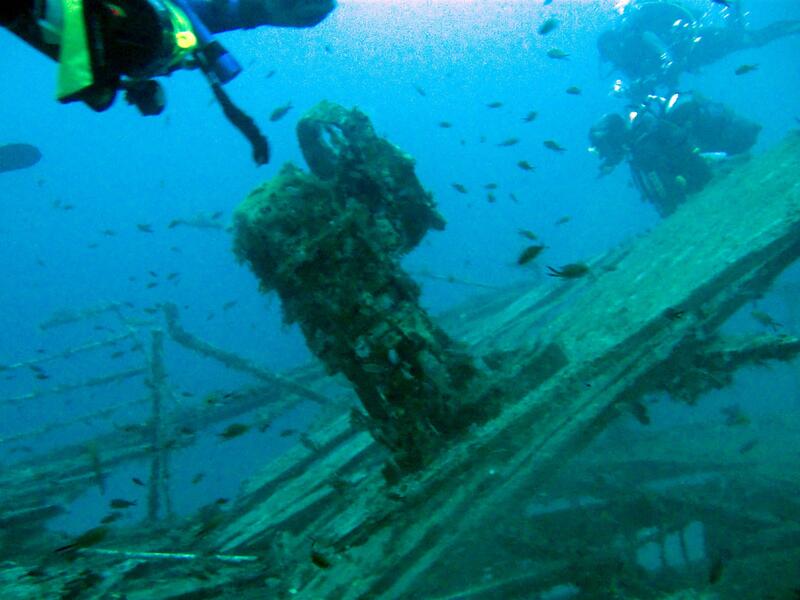 It is located near the wreck of Imperial Eagle, about 30 m from the bow, close to the reef. 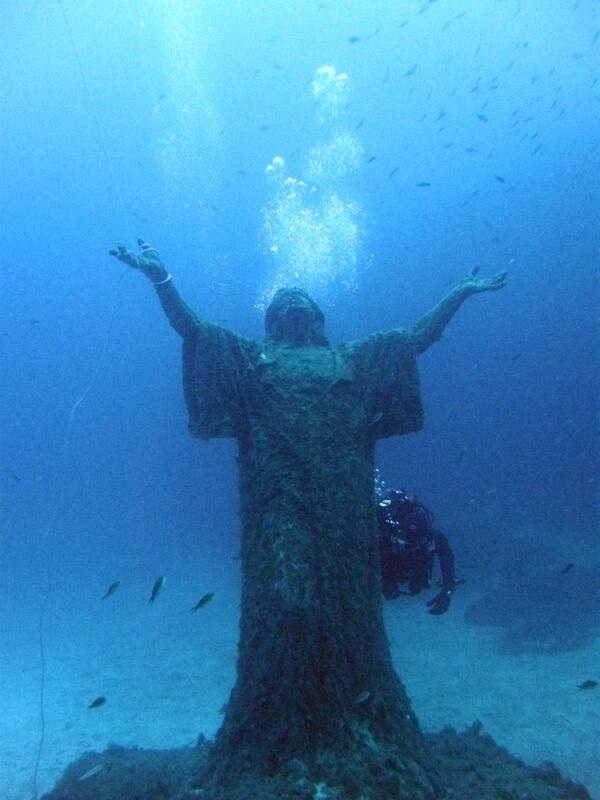 The statue is 3 m tall and at depth of 25 m.
The Christ statue was originally sunk near St. Paul’s Islands in May 1990. Ten years later in May 2000 it was lifted up and moved to Qawra close to Imperial Eagle wreck, which was scuttled one year earlier there.